The San Francisco-based Viscera Film Festival, showcasing the work of women horror filmmakers, has announced their 2008 Official Selections -- to be released to the public in late Spring/early Summer of 2009! The Chainsaw Mafia, a San Francisco-based film collective, hands out one Viscera Award each year to an outstanding production consisting entirely of females working together. 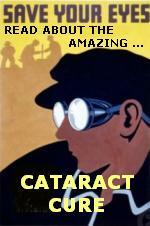 The 2008 Viscera Award -- a cash prize of $200! -- goes to The Date, by Jennifer Gigantino and Natasia Schibinger. "These two ladies worked together to create an incredibly weird and twisted piece," said Shannon Lark, the Founder of the Festival. "Viscera has received so many supportive Sponsors this year, we here at The Chainsaw Mafia are extremely excited on where it will take these filmmakers and their work, now and in the future." The Viscera Film Festival was created to promote women horror filmmakers to the film industry. The Viscera Film Fest's 2007 short film selections were screened at film festivals ranging fromBerkeley to South Africa, garnishing awards and interest in the participating filmmakers worldwide. 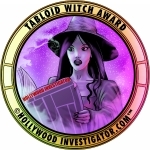 The Hollywood Investigator and its Tabloid Witch Awards are co-sponosors of the Viscera Film Festival. As part of this co-sponsorship, all Viscera selections will be considered for a 2009 Tabloid Witch Award. Last year, Shannon Lark's 2007 Viscera short film, Brains, won a 2008 Tabloid Witch Award for Best Horror Music Video. All 2007 Viscera short horror films will screen at the Paranoia Horror Film Festival on March 15th, 2009. This will be followed by a Q&A with Wretched filmmaker Heidi Martinuzzi and Viscera Festival Director Shannon Lark. Shannon Lark is a 2009 Fangoria Magazine Spooksmodel, Director of the Viscera Film Festival, and CEO of The Chainsaw Mafia. She was previously interviewed by the Hollywood Investigator. UPDATE: On January 5, 2015, Shannon Lark emailed the Hollywood Investigator to say that the Viscera Film Festival is no longer active.